Last time I talked about learning to swim slow to improve your swim technique, but how about swimming slow during warm down for recovery (also referred to as cool down). When I compose swim workouts where we swim faster sets which is almost all the time, there is a choice to add a lot of rest to allow for the body to recover or better yet to add some easy swimming to allow for recovery. This is however, where the problem usually arises. Many swimmers, especially masters swimmers do not have the right mind set for these easy recovery swims. One group of swimmers, just don’t get it and no matter what the coach says, they still race up and down the pool like Speedy Gonzalez during the easy swims, another group does not know how to slow down, and some just don’t know because nobody ever properly explained it to them. So, let me set the record straight on warm down or recovery swims. They are in your swim workouts for a reason. One way to think about them is in terms of napping during the day to gain strength for the next adventure that is going to come in your busy life. Slowing down and relaxing during the cool down swimming is like the mini power nap that we all crave right after tasteful lunch and it is the key to better performance on the harder swim sets. You should not be trying to race the person next to you or catch up with the rest of the group who is 100 meters/yards ahead of you in the practice, you should mainly be concentrating on getting your heart rate down and recover. 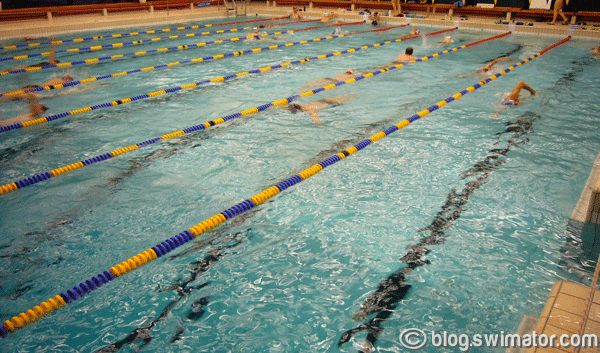 Many times, there are recovery swims in between swim sets, but they are also used very often inside them. For example, you can have a sprint set of 4x50 meters/yards with 1 minute rest swam in a way that you sprint first 20 meters/yards from a dive and the rest 30 meters/yards is an easy recovery swim. During the easy swimming, you should loosen up, think about how the fast swim went and what you could improve on the next one. You might have just noticed that I mentioned something else than just recovery, there is also a secondary, not so often talked about, aspect of easy swimming. 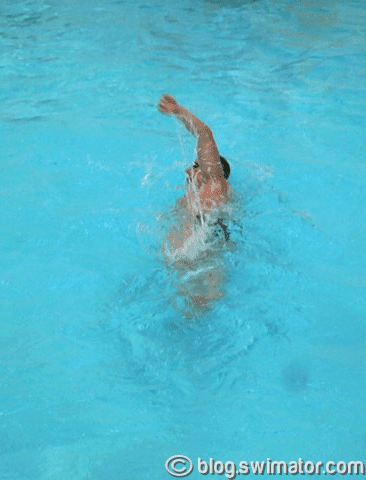 It is the time to gain composure, check your stroke, see that you are doing the right things and perhaps even play around with your stroke to try new techniques (ex: straight arm recovery on freestyle or backwards swimming). After all, you swim slowly, so take advantage of the slowness to improve something :). Now, if you have a friend or a training partner on your swim team who is guilty of dismissing the idea of easy swimming, share this post with them to help them understand that they are really only hurting their swim performance.